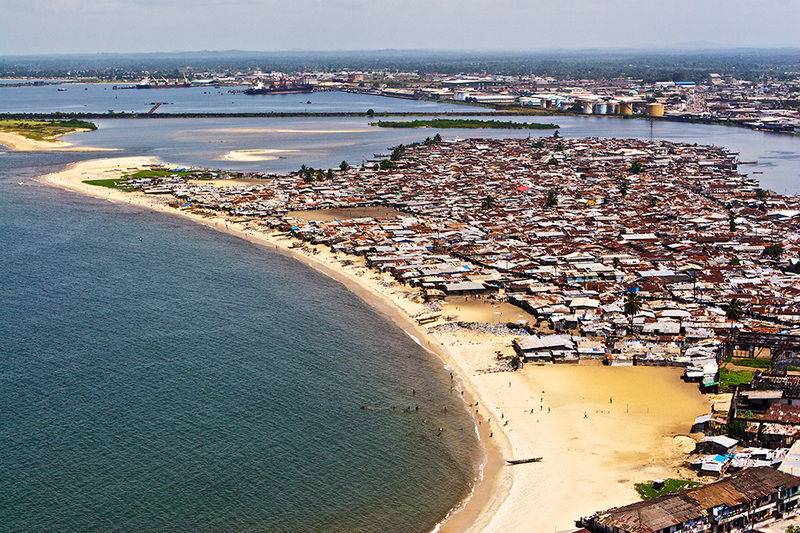 West Point, a large slum built on a sandy spit close to downtown Monrovia, is one of the city’s poorest and toughest neighbours. It has a youthful population, and is a stronghold of Liberia’s main opposition party, the Coalition for Democratic Change (recently defeated in the 2011 General Election). Although Liberia’s slums are undoubtedly some of the poorest and most challenging urban environments on the continent of Africa, slums are not the seething mass of total chaos and degradation that people in the rich world often imagine they are. They have their own internal logic, structures and rules, together with community institutions and facilities (churches, schools, clinics – run privately or by NGOs). However, one of the most challenging aspects of living in a dense slum like West Point is the current impossibility of accessing utility services such as grid electricity or mains water, which are instead expensively provided by means of small generators and by manual transportation of water tanks. Beyond West Point, enclosed by two 2km long breakwaters, is the Port of Monrovia. A great deal of Liberia’s food supply is dependent upon imports, and as the country’s largest and most developed port, this facility is critical to the security and integrity of not just Monrovia, but the entire country. Recently, a public-private partnership deal was signed with the Dutch company, APM Terminals, to redevelop and modernize the port, and bring it up to international standards. This image was taken from the ruin of the former Ducor Hotel.